Autumn is well and truly here now, so I thought it was about time i put my favourite neon shades to the back of the box (sob) and get some new varnishes more suited to this time of the year! I was lucky enough to receive a lovely No7 box of these 5 shades for my birthday which i think pretty much sum up autumn colours for me. 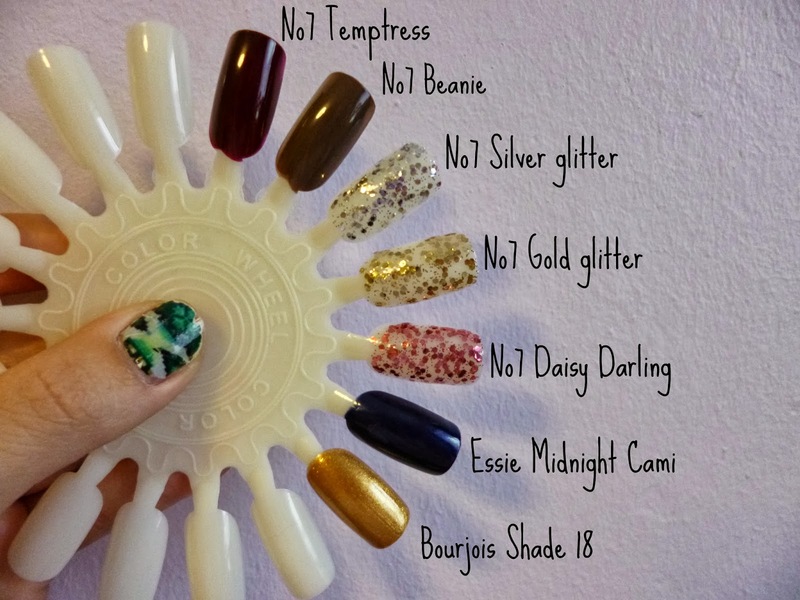 No7 is a brand which i know many people probably don’t associate with nail varnishes, i always go straight for Models Own,Barry M, Essie etc. So i was so happy to try out some of their colours and they are really well lasting.These all needed 2 coats each and the glittery colours are actually all top coats but i love anything sparkly and like to go the whole hog with the colour,it would also look as a top coat though on colours like white and black and these glittery colours really are such a season appropriate colour. I also love Temptress which is a deep rick berry colour and Beanie which is a mushroom colour,both are perfect darker colours for autumn which i will be getting a lot of wear out of! I also received my first essie polish for my birthday eek! Cobalt blue is a colour which is still very much in this season,it is such a dark sheer colour which i really am in love with. I would say that it is probably one of my favourite colours that i picked out for my selection. It is by far the best quality polish i have used so far, my nail colour usually chips off so easily but while wearing this the colour it lasted for days and only two coats were applied. Lastly, another shade i got for my birthday (aren’t i lucky!) is a gorgeous shimmery gold which is a colour i have been after for ages! I love the easy application of the fan effect bourjois polishes and you cant see so well in the picture but the colour is very metallic and has shimmery glitters running throughout it,this will definitely be the colour for the upcoming party seasons! 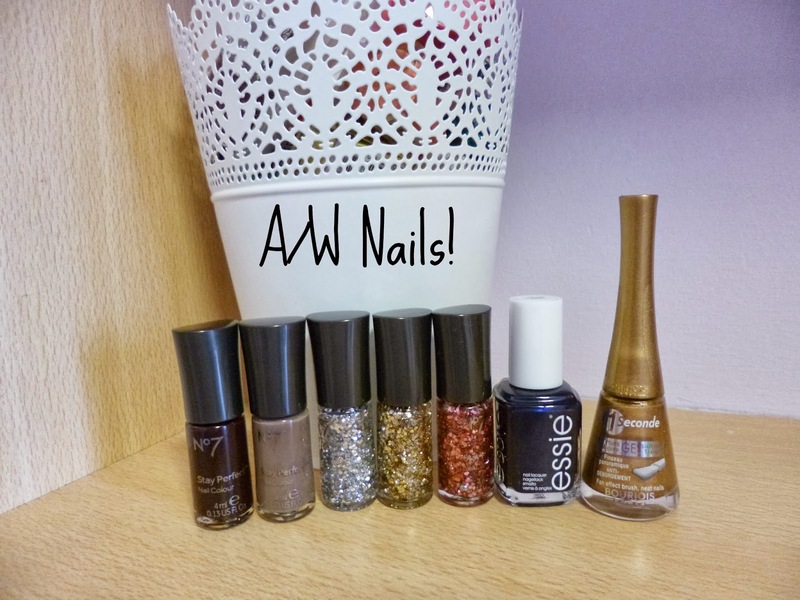 What do you think of my A/W nail varnish picks? What are your favourites?